In January, iW sat down with Gregory Bruttin, Director of Movement Development for Roger Dubuis, to discuss the re-imagining of the Hommage Collection. 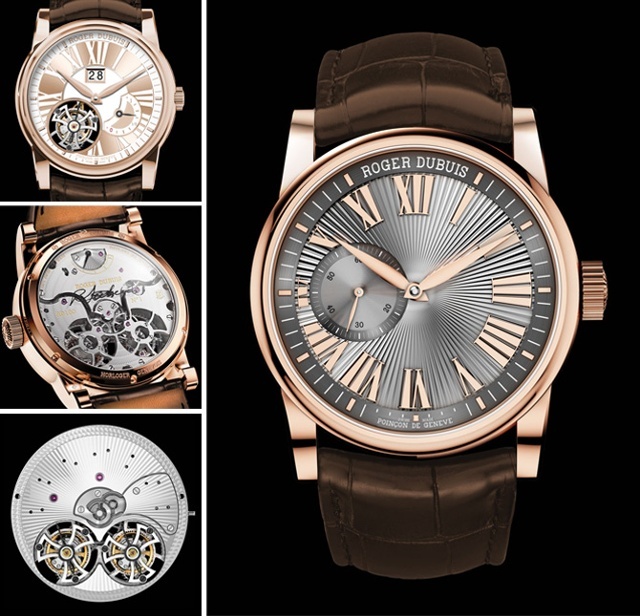 Bruttin worked directly with Roger Dubuis himself, to reinvent the Hommage collection. Together, Dubuis and Bruttin incorporated modern aesthetics with traditional craftsmanship such as guilloché and enameling. Perhaps the highlight of the collection is the Hommage Flying Tourbillon Tribute to Dubuis. It contains an RD540 caliber powering a tourbillon, large date and power-reserve display, all housed in a pink gold case. The timepiece is limited to 208 pieces in honor of the start of Dubuis’ career at the Geneva Watchmaking School, with student registration number 208. Learn more about the Hommage collection and the Roger Dubuis Legacy in iW’s February cover story, Deep Tribute. Looking back is not a routine exercise at Roger Dubuis. As a high-end watch manufacturer founded in 1995, Roger Dubuis the company generally prefers to focus on the here-and-now, or even the future, rather than dwelling on the past when creating timepieces. But the watchmaker Roger Dubuis, whose name lights up the night on the front of his namesake company’s ultra-high tech Meyrin facilities near the Geneva airport, recalls much about his own historical influences. As the firm’s soulmaker, Dubuis today trains Roger Dubuis watchmakers to use historic watchmaking techniques even as they develop cutting-edge designs. Continue reading.